For the discerning home buyer searching for a unique contemporary abode that takes your breath away - look no further. Offering the finest in quality of build, the home's master builder had 40 years of craftsmanship & experience. The house has low e triple glazed Neet windows, state of the art heating system with in-floor heat in the basement & garage, 2 furnaces, EPDM roof, spray foam insulation, truss floor system & plywood exterior construction. Exterior wall are 16" on centre constuction Welcome Home! 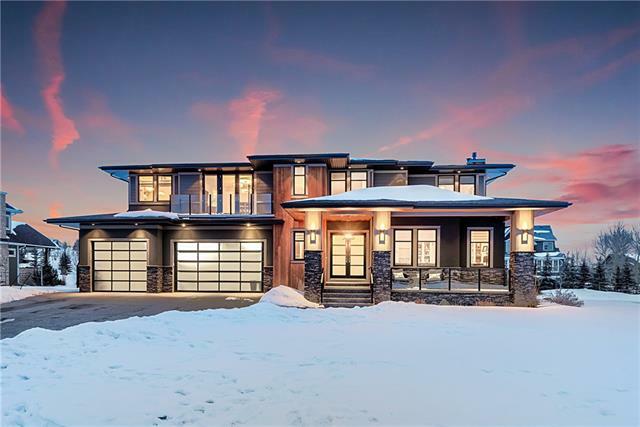 327 Leighton Vw, Rural Rocky View County, Alberta, MLS® C4221003 T3Z 0A2 is a Detached, 6 bedrooms, 5 bathrooms, approximately 3,328 Sq. Ft. Listing price 1,650,000.00. This property was built in 2010.